Careful basics and foundation work are the foundation for garden and landscaping work. In the construction of the yard we can make proper water and drainage works, drainage pipes, terraces, paving stones and tiles. We do green and yard work mainly in the area of ​​Sea Lapland. 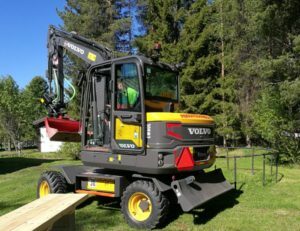 Pekka Tolvanen Oy The company has a diverse range of equipment that can handle the most demanding work. Our company is located in Kemi but our working area is whole Finland. Our company is founded in 1975.